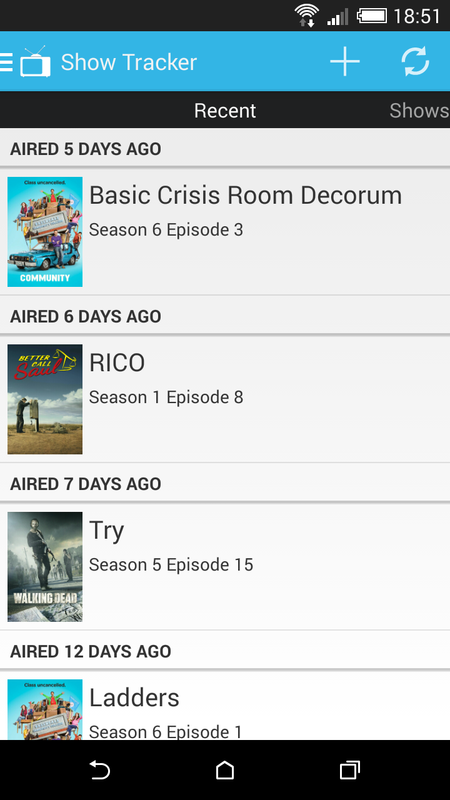 It has been a long time since I've used an app to track my TV series but this one is a good one to use because of how intuitive and easy to navigate; the perfect recipe for success. The app is free and there no ads! The first thing you have to do after starting the app is add a show by pressing the “+” sign. Then select your show and the status of the show to “watching now”, “watching soon”, “watching some day” or “watched”. This will sort your entries on the main tab. 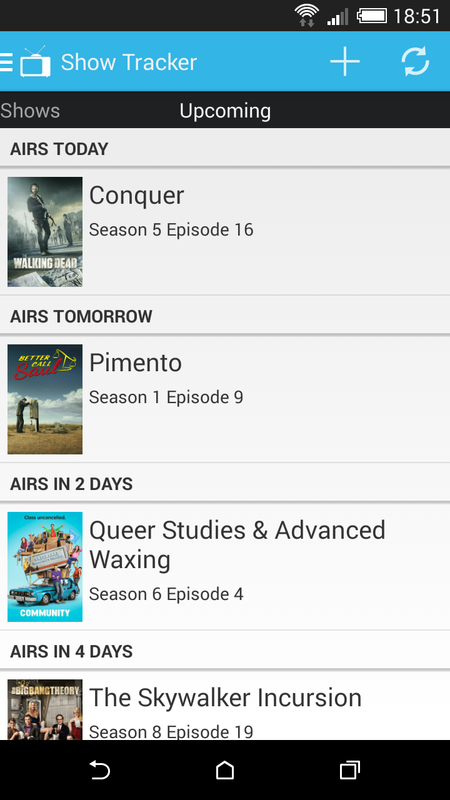 From there you can easily swipe right to see the list of upcoming episodes or left to see the recent ones. If you click on your show, it’ll bring you to the show’s “Overview”. Same idea again, if you swipe left, you'll see all the “Actors” and if you swipe right, the “Episodes/seasons”. 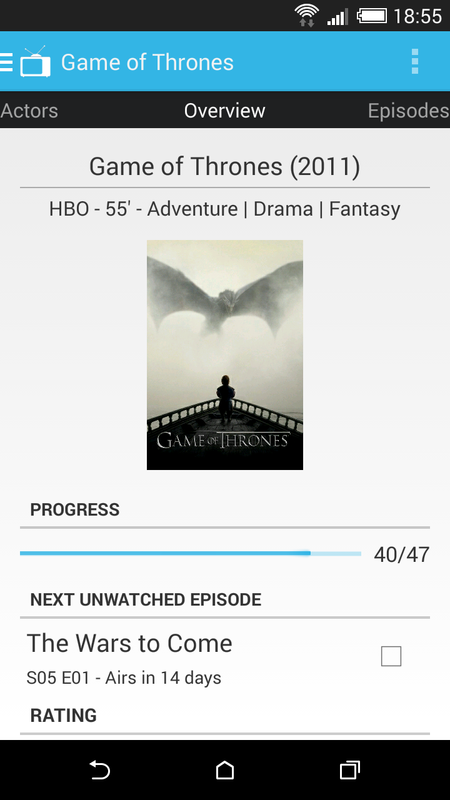 the “Episodes” tab where you can click the checkbox in of episodes you've seen; it makes it easy to track single episodes or even full seasons you’ve seen! You can also click a single episode and get its description. So useful! 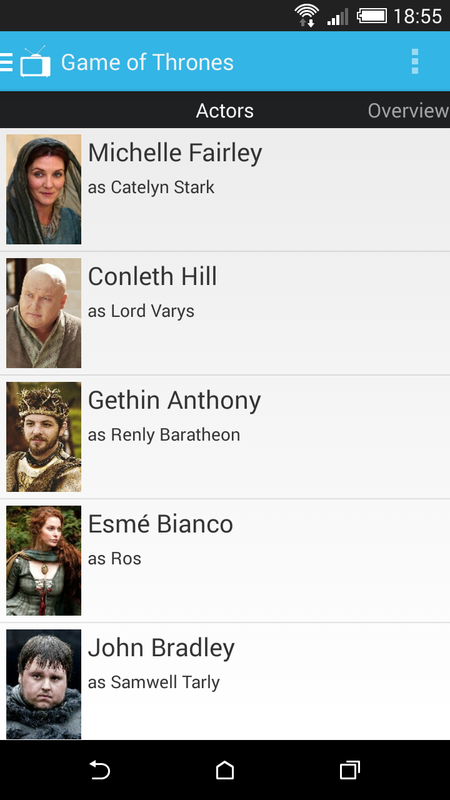 The “Actors” tab: with a single tap, you’ll be on your way to the actor’s IMDb page. After adding a TV show, bring us back to the Shows tab automatically to save us a step. Easier way to enter the Current season and Current episode when adding a show. 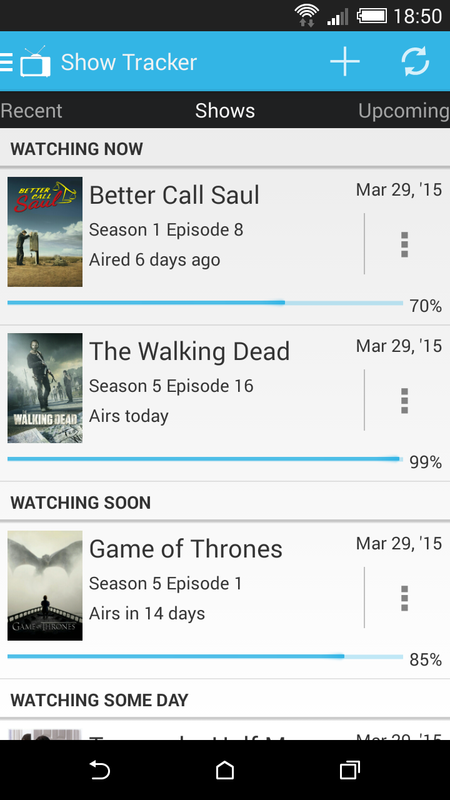 Show Tracker is the perfect app to keep you up-to-date with your TV series progress. Give it a try and let me know your thoughts on it in the comments below.